The food I make, sometimes with instructions on how to make it for your self. 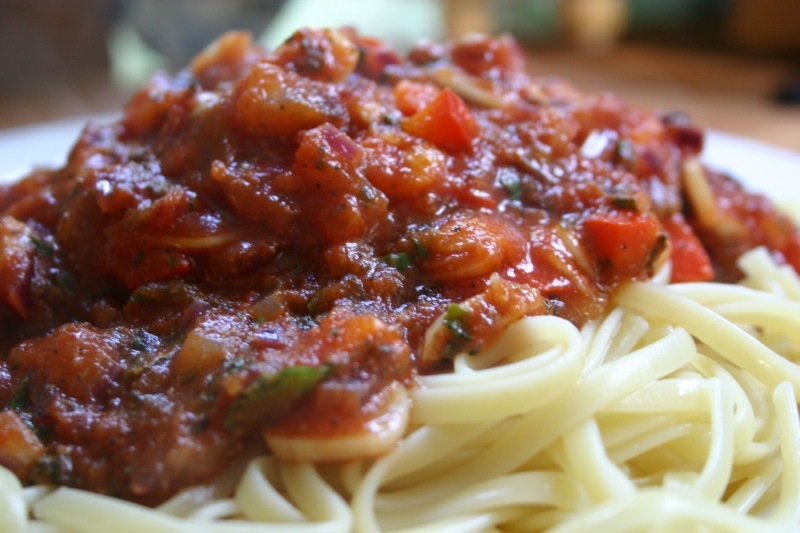 This is a quick and easy, semi homemade marinara sauce that can be used for spaghetti, lasagna, ravioli, or anything else you see fit. -canned tomatoes (I use the Great Value brand died tomatoes, Italian flavor)-drained. Brown your ground meat with the fresh onion (and bell peppers if you choose to use them.) and some garlic powder and salt & pepper. Drain the fat. If you choose to use mushrooms, add them to the sauce as well. Reduce the heat and let simmer for about 20 minutes, stirring occasionally. Enjoy with your choice of pasta. Top with grated Parmesan Cheese. If you choose to peel your apples, do so now. I peel mine. They cook quicker and I simply prefer them that way. After cutting your apples (I like to ) put them in a strainer and give them a good rinse. Mix the white sugar, cinnamon (and Ginger & Nutmeg) in a small bowl. 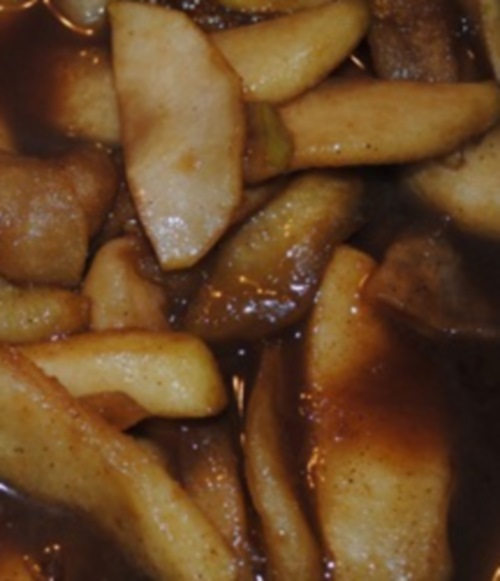 Also mix your Thickening Agent ingredients in a bowl- it should be a soupy consistency, like runny gravy. A super easy and super delicious desert. It’s perfect to take to cook-out’s or pot luck. Add 3/4 of the Whipped Cream (saving a little bit for garnish), stir lightly. Crush Oreo’s (I crush them by hand a few at a time, into a bowl, then pour them into the mix)- Remember to set aside a couple handfuls for garnish. 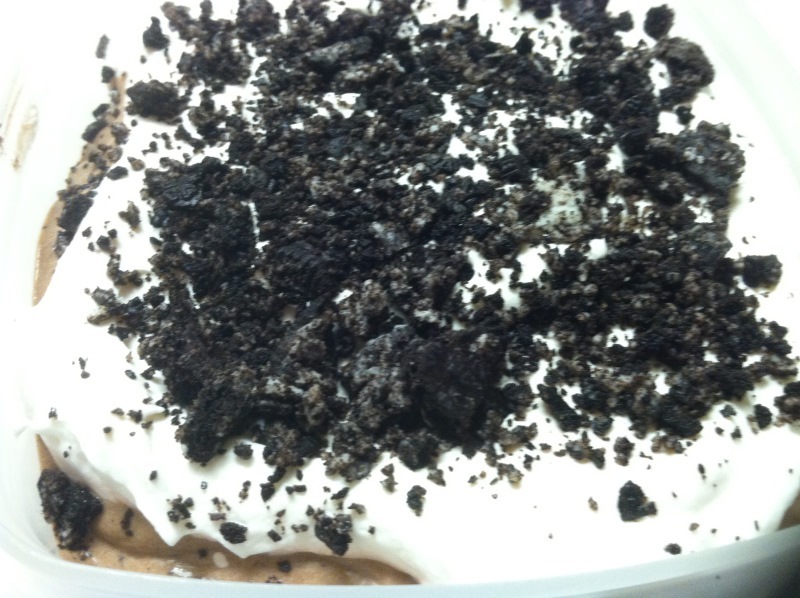 Add crushed Oreo’s to the pudding/whipped cream mix. Stir lightly. Now gently add the remaining Whipped cream and smooth over the top, then sprinkle the rest of the Oreo crumbs across the top.